Feed lawns with Master Nursery's Fall & Winter Feed 20-6-7. Apply monthly to keep your lawns at their best. Why apply this over regular lawn food? The nitrogen in the Fall & Winter Feed is formulated to work even faster in the colder months of the year. Feed spring-flowering plants and fruit trees monthly with Master Bloom 0-10-10 or E.B. Stone Organics Ultra Bloom 0-10-10. These fertilizers are formulated with without nitrogen to boost flowering and fruiting. We especially recommend feeding your azaleas, camellias and rhododendrons for spectacular blooms. A 0-10-10 will also improve your yield, quality and sweetness of your citrus and other fruit trees! Make additional applications at bud swell (late winter), popcorn (buds just showing color), full bloom and petal fall. Remember to reapply if it rains within 24 hours of application! As we approach our first frost (could be any day now! ), stock up on our recommended tools to protect your frost tender plants! Apply Bonide's Wilt Stop to prevent drying out, winter kill, wind burn, transplant shock and more. We also recommend covering your plants with our Frost Protection Blankets. Available in a range of sizes and by the foot, we use frost blankets in the nursery ourselves to protect our plants through winter (especially our succulents and citrus) and highly suggest it for your garden. 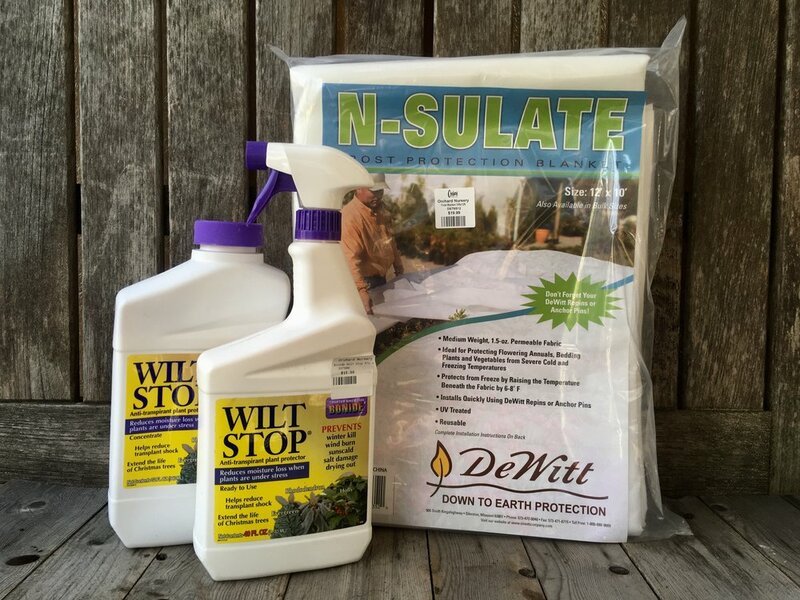 Find Wilt Stop and Frost Protection Blankets near our outside shop. Looking for something frost hardy for quick greenery and a burst of color? Check out our Bedding Department's stock of Ornamental Kale and Cabbage. 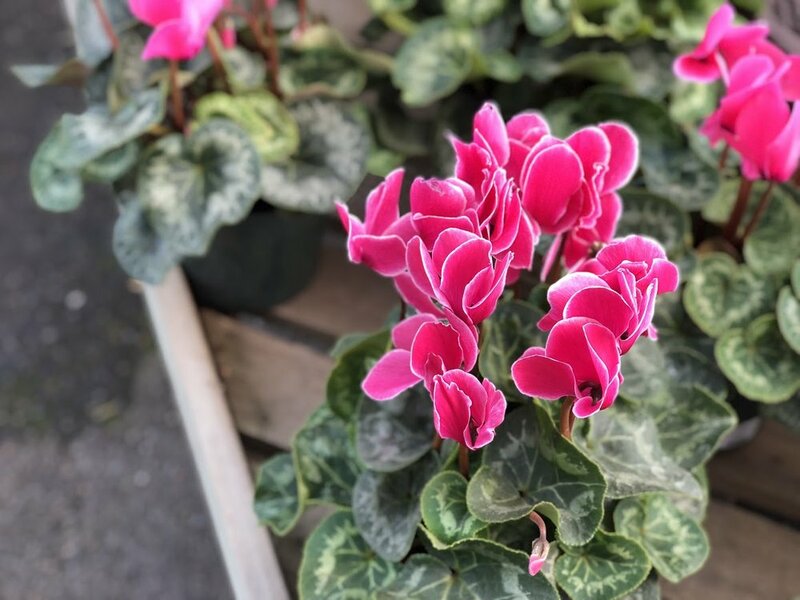 With varied foliage and available in a range of colors, these ornamentals are one of our favorite winter plants! Questions? Stop into the nursery and let us help you get your garden winter ready! It's not all about preventative care this month; just in at the nursery are our onion sets! Sold in bunches of 25, we also have 6-packs available. With red, white and yellow onions available, we're sure you'll find a variety to your liking. Plant now in full sun with fertile, well-drained soil (we recommend mulching!) Hurry in, they’ll go fast! The deadline to receive 20% off your prepaid order of roses and fruit trees is approaching - December 1st to be exact! All stock will be arriving bareroot in January. Our Rose List features our must-haves and several new beauties and be sure to check out our Bareroot Fruit List for your favorite farmer's market varieties. December will be here before we know it, give us a call or stop in to place your order this week! For more of our tips for your fall garden, be sure to subscribe to our weekly newsletter! With the minimum of effort, you can bring amaryllis into bloom for the winter holidays. All it takes is water, light and about 6 weeks time. For a winter holiday bloom, choose an African variety. Grown to blooming size in South Africa, they are then stored and shipped under controlled conditions. 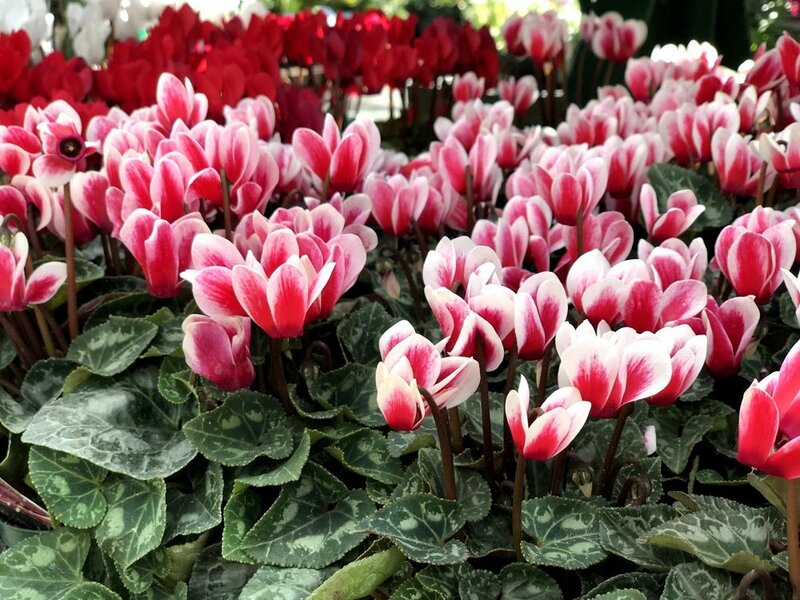 When removed from cold storage, the bulbs sprout quickly and flower in 4-6 weeks. For a guaranteed Christmas bloom, plant bulbs around November 15th. 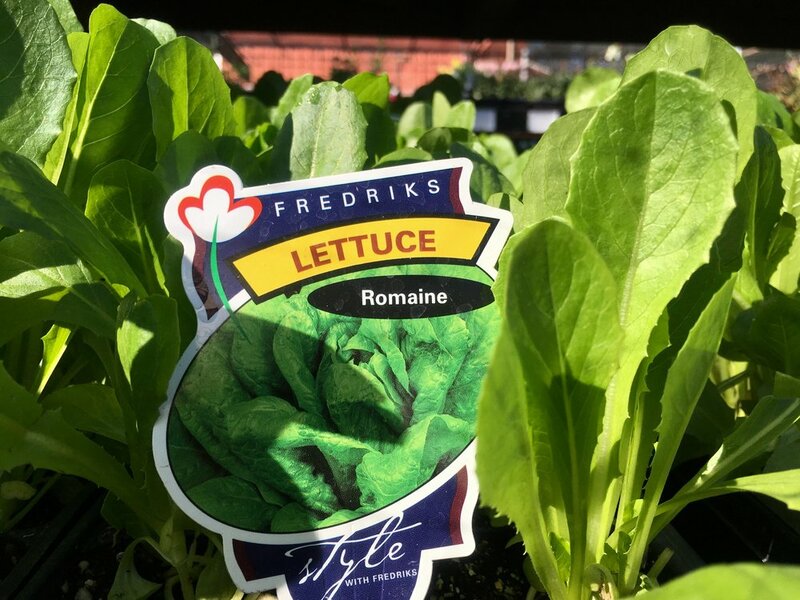 Most Dutch and Ludwig varieties are dug and shipped from Holland in September. These will bloom 7-8 weeks after planting. 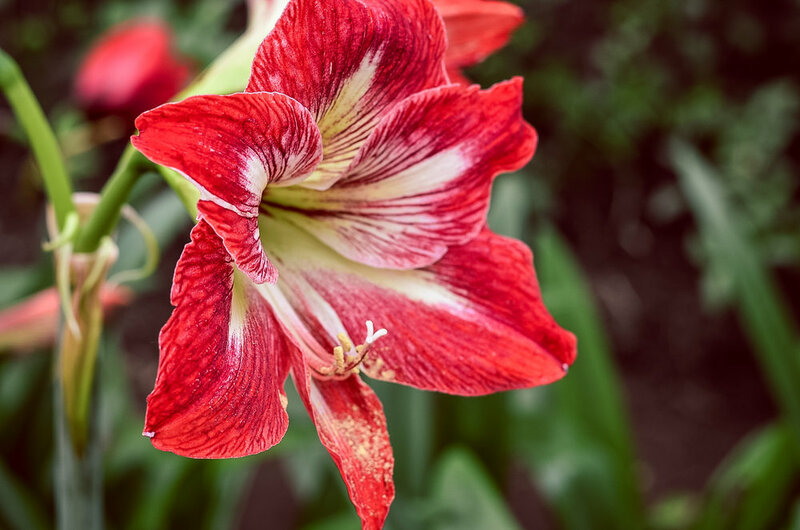 If you want to delay the flowering of any of these amaryllis until later in the winter or even until spring, wrap the bulbs in newspaper and store them in the refrigerator vegetable crisper at a temperature of around 40°F. 4-8 weeks before the target date (depending on the source of the bulbs) remove bulbs and plant them in containers. For each bulb, choose a container that allows 2 inches between the bulb and the container sides. Fill containers with the soil mix; plant each bulb so its neck and top half protrude above the soil surface. If one bulb makes an excellent display, then grouping several bulbs together is spectacular! Try planting three, even five amaryllis bulbs shoulder-to-shoulder in a broad decorative container. The pot doesn't need to be deep, as each bulb can produce several stems in succession, with each stem topped with four to six colorful flowers. This multi-bulb approach creates a pot dense with multiple stems in various stages of growth. There is also a practical advantage to planting multiple bulbs; broad-based pots are nice and stable! A few of our varieties! Water thoroughly after planting; then give you just enough water to keep the soil barely moist, but not soggy, until active growth begins. Keep containers in a bright, warm room - 70-75°F during the day (60-65°F at night). Turn the containers frequently so flower stems will grow upright rather leaning toward the light source. Each stem will produce four or more flowers. Once the flowers open, you can lengthen their lives if you move plants to a cooler location. As each bloom fades, snip it off to prevent seed formation. When all blooms on a stem have faded, cut off the entire stem about an inch from its base. The show goes on! Don't assume the show is over after the first flower stem fades. Your bulb will probably produce a second stem with four more flowers. Sometimes a third stem pops up! Our giftable Amaryllis bow-and-all! Paperwhites also available packaged up too! Stake the plant by making a corral of sticks or branches, then securing the stems to these supports with a lasso of ribbon, string or colorful raffia. Double pot by placing the potted plant into a second heavier pot to provide additional stability. These amaryllis kits make the perfect gift! Leaves appear either during or after bloom, then die back when weather cools in autumn. For good performance the following year, it's important to keep the plant growing vigorously until the foliage wither naturally - water regularly and give bi-monthly applications of liquid fertilizer Master Nursery's Master Bloom 2-10-10 diluted to half strength. When the weather warms, you can move plants outdoors to a spot in filtered sun, or light shade leaving it in the pot or plant into the ground for a spring bloom. There's nothing like a cheerful bloom to brighten the winter season! Come see our selection of amaryllis available in a variety of shapes and colors located on our bulb patio near the outside shop today! Because newly purchased bulbs already contain the embryonic bloom for the following season, you can - with a bit of extra effort - manipulate conditions to induce flowering before the bulb's normal outdoor blooming season. This process is popularly know as "forcing." Forcing takes advantage of the fact that bulbs have certain minimum requirements for each stage prior to bloom. Because outdoor climate slows development, bulbs in the ground usually take more time than is minimally necessary in the pre-bloom stages. But under a forcing regime, you can control conditions so each stage is completed as quickly as possible. For the most satisfying results, buy large top-quality bulbs. Forcing draws heavily upon a bulb's food reserves, so those that have the greatest amount of stored energy will perform the best. You can calculate the time to plant in order to achieve blossoms at the desired date. Most bulbs planted in potting soil will bloom 12 to 15 weeks after planting. On the other hand, narcissus grown in pebbles and water or in soil take just 6 weeks to flower. With the exception of Amaryllis, forced bulbs cannot be forced for a second season. After blooming is over, set bulbs out in the garden; in a year or two, they will build themselves up enough to flower at the normal time. The method of forcing you use depends in part on the type of bulb. You can "plant" in potting soil, in a tray of pebbles and water, or in water alone. The following are descriptions of each method. This method is especially well suited for tulips, hyacinth, daffodils, grape hyacinth, Dutch iris, scilla and freesia. Using potting soil, fill your pot to within 2" of the top. Set bulbs close together an equal distance apart with pointed ends up. Add additional soil to partially cover the bulbs. Soak the entire pot thoroughly with water. Place the container in a cool, dark place for a period of 12 weeks. During this period, the soil should be kept moist and the bulbs kept cool, with temperatures below 50°F at all times. A cool cellar or unheated garage are very good locations. After 12 weeks the root system should be well established and 1-2" shoots should be appearing above the soil. The pot is now ready to be moved indoors to a well-lighted, fairly cool spot (55°F) for 2-3 weeks. The pale shoots will quickly turn dark green and buds will appear. When buds barely show color, move to a warm spot (72-75°F) with plenty of light (not full sun) to finish the bloom. The autumn and winter-blooming Narcissus tazetta varieties do not need a prolonged cool, dark period for root growth before they send up leaves, so you can easily force them indoor in an entirely soil-free medium. Most popular are the Chinese sacred lily (N. tazetta "Orientalis") and the varieties 'Paper White' and 'Grand Soleil d'Or.' For 'Paper White', the interval between starting and blooming is about 6 weeks. If your first planting is made in October, then plant at 2 week intervals until December. You can have flowering Narcissus indoor over a 2 month period. For a beautiful Thanksgiving bloom of 'Paper Whites', plant now. For a Christmas bloom we recommend planting around Veteran's Day or any time during the second week of November. Choose a container without a drainage hole and about 3-5" deep. Fill the bottom 2/3 with clean, smooth pebbles such as pea gravel or aquarium rock. Place bulbs in gravel so that the base is slightly covered. Fill with water to the top of the gravel and add water as needed to maintain water level at, or just below, the base of the bulbs. Pots can be started in a cool, well lit area until buds appear, then moved as desired. Caution; too much shade or darkness will cause the foliage and stems to stretch and become floppy. Likewise, too much warmth will force top growth at the expense of roots. Both hyacinths and crocuses can be grown in water alone if you use the special glass vessels made for this purpose. These container look something like exaggerated egg cups: the bulb rests securely in the smaller upper section, while roots grow into the larger, water-filled lower part. To "plant" the glasses, fill them with just enough water to touch the bulb's base, then add a small piece of activated charcoal to help prevent the growth of algae. Place the planted glasses in a dark, cool place (around 55°F) until the roots are well developed and top growth has begun; add more water as necessary during this time to keep the level just beneath the bulb's base. When growth is underway, transfer glasses to a room with plenty of light and relatively cool temperatures (65 - 68°F). You can expect blossoms in 14-16 weeks. We have an abundance of bulbs to choose from located near our outside shop. Stop in and let us help you get your bulb plantings, inside or out, started today! For all your veggie plantings, we recommend mixing in a bag of Pay Dirt. A blend of 45% chicken manure, 55% mushroom compost and redwood sawdust, Pay Dirt is great for loosening our native clay soil and improving moisture retention. To keep not only your onions, garlic, shallots but all other edibles healthy, fertilize with Master Nursery's Tomato & Vegetable Food 5-10-10 or E.B. Stone Organics Tomato & Vegetable Food 4-5-3 both available in our outside shop. Our onion bulbs are due to arrive in the next few weeks, stay tuned for what varieties we'll have in store! Remember when planting to choose a site with at least 6 hours of direct sunlight for a healthy crop. Sets are just tiny bulbs that were started from seed the year before. Onion sets should be about the size of a marble. Larger sets don’t always adjust well and could bolt or split. For similar reasons, don’t buy sets that have already sprouted. And as with all bulbs, onion sets should be firm and healthy looking. Sets can be planted early in the season, before the last frost, but after the soil has dried and warmed up a bit. Plant onion sets pointed end up and cover with about 2" of soil. Depending on the mature size of your variety of onion, space about 3-4" apart. Transplants generally result in larger onions than sets. You can buy transplants or start your own indoors from seed. Start onion seed about 8-12 weeks before your transplant date. Plant onion seed about ¼ - ½" deep. You can plant thickly and thin at transplant time. Keep the soil moist. As the tops grow, keep them trimmed to about 4". Transplants or onion seedlings will need to be hardened off before planting outdoors. Wait until all danger of frost has passed before planting. Don’t bury transplants too deeply. Plant them close to the surface of the soil, spaced about 4” apart. Keep onions well watered throughout the season. The bulbs need regular water to swell in size. Transplant-grown onions are the type you see pushing up out of the ground. Water stressed onions are stronger in flavor and more pungent so water scarcely. You can harvest onions at any stage. The plants you thin from a row can be used as green onions. However, onion bulbs are ready when about ½ the tops have fallen over and the bulbs’ skins have a papery feel. Bulbs allowed to remain in the ground until 50% or more of the green tops have fallen over will store longer. Once you see ½ the tops are down, very gently coax the remaining leaves down, without breaking them off the bulb. Then allow the bulbs to sit in the ground and cure for a couple of days before you lift them. You’ll have better luck digging the onion bulbs, rather than pulling. You don’t have to go deep, just enough to loosen the remaining roots. Shake and brush off any loose soil and let the bulbs finish curing in a warm, dry place with good air circulation. Leave the leaves on. You can use fresh onions at any time now. For storing onions, wait until the outside onion skins dry and the neck - where the leaves meet the bulbs, starts to shrivel. Then you can store them in a cool, dry location, like your basement. Onions keep longer in cool temperatures (35-40° F.) but should not be allowed to freeze. Store onions in mesh type bags or by braiding the tops together and hanging. Just make sure they are not piled on top of each other and not getting any air. Garlic is one of the easiest plants to grow. You plant the individual cloves within the bulb. Plant the largest cloves you have, to get the largest bulbs. Plant each garlic clove two to three inches below the soil surface and about 6" apart. A common novice dilemma is not knowing which end is up. It’s the pointed end. Your garlic will still grow, planted pointed side down, but the shoot will have to curve around and you will wind up with a malformed bulb. Fall is garlic planting time. Depending where you are gardening, this could be September to November. Here in California, we can get away with a bit later. Once the soil temperature has cooled off to about 60° F, the roots of the garlic clove will start to germinate and begin to take hold and anchor the plant. Mulch around the plant with straw for moisture retention and weed compression. Garlic is relatively pest free, if you use good seed cloves. It is, however, popular with some rodents, especially gophers. If you have gophers, we recommend planting in one of Digger’s Root Guard Heavy Duty Baskets. Available in one, three, five and 15-gallon sizes, the wire baskets are galvanized for increased durability and corrosion resistance. 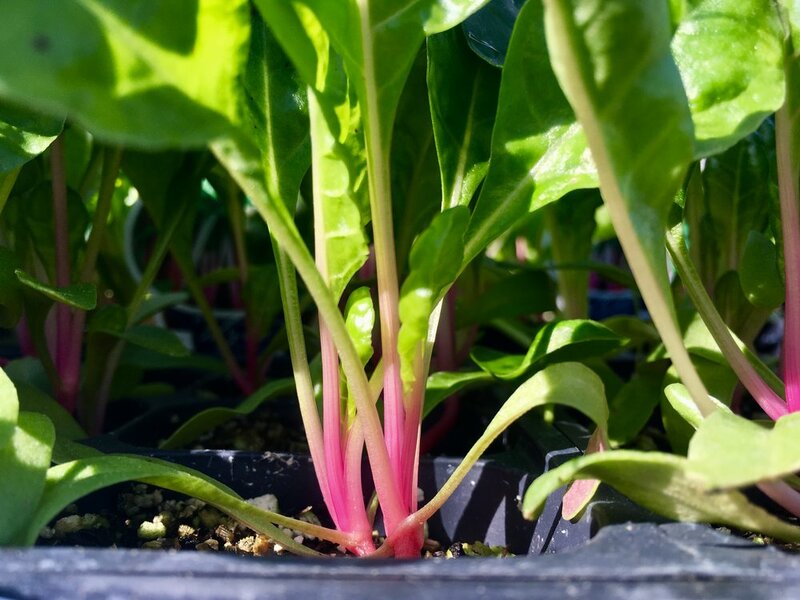 Easy to plant in, they allow generous room for root-growth and up-sizing. For more information, check out our Protecting Your Garden From Gophers. Dig, don’t pull garlic out of the ground. You may have planted a small clove, but the bulb is now several inches deep with a strong root system. When to harvest garlic is a judgment call, but basically it’s ready to go when the lower leaves start to brown. About the only way to be sure is to actually dig a few bulbs and slice them in half. If the cloves fill out the skins, it’s time. Harvesting too soon will result in smaller cloves that don’t store well. Leave the bulbs in the ground too long and the cloves may be bursting out of their skins, making them unstorable and open to disease. Brush off any soil clinging to the bulbs. Allow the bulbs to cure or dry for three to four weeks in either a well-ventilated room or a dry, shady spot outside. Once the tops and roots have dried they can be cut off or braided. You can also further clean the bulbs by removing the outer skins. Just be careful not to expose any of the cloves. Garlic likes to be on the cool side, 32-40°F. The softneck varieties may last 6-8 months. Hardnecks should be used soon after harvesting. Hardneck varieties may dry out, sprouting or go soft within 2-4 months. Keeping hardnecks at 32°F sometimes helps them survive for up to 7 months without deteriorating. One of the easiest members of the onion family to grow, shallots not only mature faster but require less space than their counterparts. Growing shallots in your garden is very easy. Many people wonder “what is a shallot?” Although they’re often confused with green onions (scallions) and the like, shallots are quite different. With their mild onion and garlic flavor, shallots are considered an essential ingredient for flavoring nearly any dish. The most distinguishing factor that sets shallots aside from other members of the onion family can be found by close examination of the bulbs. Unlike onions or leeks, shallots are made up of cloves—much like that of garlic. To get the most from these tasty plants in the garden, it may help to practice some important tips for growing shallots. The best way to grow shallots is in loose, well-drained soil that’s been amended with organic matter. They also prefer areas receiving full sun. Shallots are often planted in early spring or as soon as the soil is manageable in warmer climates. Plant them about an inch or two deep with the tips slightly protruding from the soil’s surface. Space shallots about eight inches apart to prevent overcrowding. When to harvest shallots can be tricky for some, as this usually depends on when planting took place. Generally, fall plantings are ready to harvest in winter or spring while those planted in spring may be harvested in mid-summer to early fall. Harvest shallots when the bulbs are about ¼ inch around but wait for the leaves to yellow before lifting. For an extended harvest season, plant and harvest the largest shallots first, replanting smaller bulbs in their place for harvesting later. Once shallots are harvested, any unused bulbs should be stored. Dispose of any bulbs that appear soft or bruised. Shake off soil once lifted from the soil and allow shallots to remain in a warm, dry area for about a week prior to storing. Then place them in a mesh bag and store them in a cool, dry place. Growing shallots is easy and require little care, other than occasional watering. These hardy little bulbs are seldom affected by problems; however, you should practice crop rotation every other year or so, especially in areas where other onions have been previously grown. Questions? Stop in today and talk with one of our nursery professionals! Planting is easy, just dig, drop & done! No matter the size of your garden, there’s always a place to plant bulbs! (Don’t forget, they do great in pots!) After a long winter, there’s nothing like having your garden bursting with spring color! It’s the prettiest effect to plant bulbs in masses, a sea of purple iris or cheerful daffodils. As far as planting time, as long as you put your bulbs in before Thanksgiving, you'll have spring bloomers. We don't foresee another heat wave so now thru mid-November is a great time to get them into the ground! 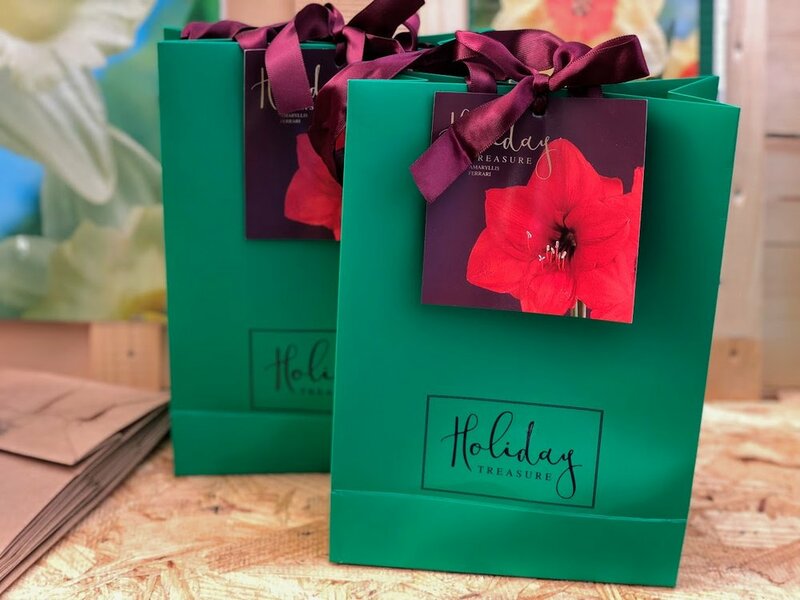 When storing bulbs, keep them in a paper bag in a cool environment until planting time. Bearded irises need the most time in the ground to get their root system developed and established. As far as planting time, the earlier the better! For those of you with Iris' already in the ground, it's time to divide them and other dormant or spent blooming bulbs! Dividing keeps them from overcrowding and ensures the most flowers come spring! Ensure that your soil has good drainage, bulbs don’t like to be standing in water. We recommend loosen the soil before planting and work in either our Eureka Planting Mix or Master's Pro-Potting Soil for containers. A general rule of thumb for planting depth is twice the height of the bulb. Plant large bulbs an average of 5 inches apart and small bulbs roughly 2 to 3 inches apart, pointy side up. For Fritillarias, because of their size and shape, plant them on their sides to keep them from collecting water and rotting. Mother Nature will take care of the rest! Before placing the bulbs fertilize with E.B. Stone Organics Bulb Food 4-6-4, adding an amount in each hole dug underneath the bulb. And don’t forget your bulbs from last year as well, this will help to maximize flower production for another year of stunners! Both fertilizers contain bone meal but for the old-fashioned gardeners out there, we have Master Nursery’s Bone Meal 1-15-0 in stock. High in phosphorus, bone meal is great for strengthening roots and stems on not only your bulbs, but sweet peas and bareroot too! Cover bulbs level with the surrounding soil. Don’t “hill up” over the bulb or leave a sinkhole for a water pocket to form. After planting, water in your bulbs. A thorough watering encourages deep root growth and the sooner the roots develop, the faster your bulbs can tolerate cold and frost. Certain bulbs, when flower and leaf stalks emerge, are a favorite snack of slugs and snails. Protect your budding bulbs with Sluggo or Sluggo Plus, both available in our shop. One technique we love in our gardens and in containers is planting in layers AKA bulb lasagna. As the bulbs overlapping in flowering time, you’ll have a constant stream of blooming beauties. Choose late bloomers like tulips for the lowest layer and muscari, daffodils and other mid-season blooms for the middle. For the top, plant earlier flowering bulbs like crocuses and irises. We’re really excited about our new and unusual bearded iris rhizomes that have just arrived from Holland. 'Attention Please' might just take the cake for the name alone! For specific instructions on planting bearded iris, check out our Gro-Sheet.